We didn’t miss it. This is it. When I was sixteen and seventeen and eighteen and nineteen and twenty, when I was learning how to be who I’d eventually become, I think it was safe to say that I was an idiot. Like the time I destroyed my wheel hitting a curb on the way to see Primus, then rolled the car back in the jack. Then the show sucked. That said, all those nights of going to shows with my friends and hanging out at the Gypsy until it closed followed by coffee all night at Denny’s, then slogging through school the next day, they were great. I remember what those nights felt like. I thought I had problems then; I didn’t. And now all that’s left is a stylized, romanticized set of memories that are better than the actual times could possibly have been. I had friends, I had dreams, and I had forever in front of me. Same as I have now, minus the responsibilities. Sometimes I get wistful for those times. I remember thinking how big everything was, how much the things I was doing mattered, how grown up I was. But I wasn’t. I was a child. I’m safer now, and happier, and smarter, and a whole host of other things. Including more cynical. But sometimes I am reminded of who I was then. How much fun it was not to know what I thought I knew. 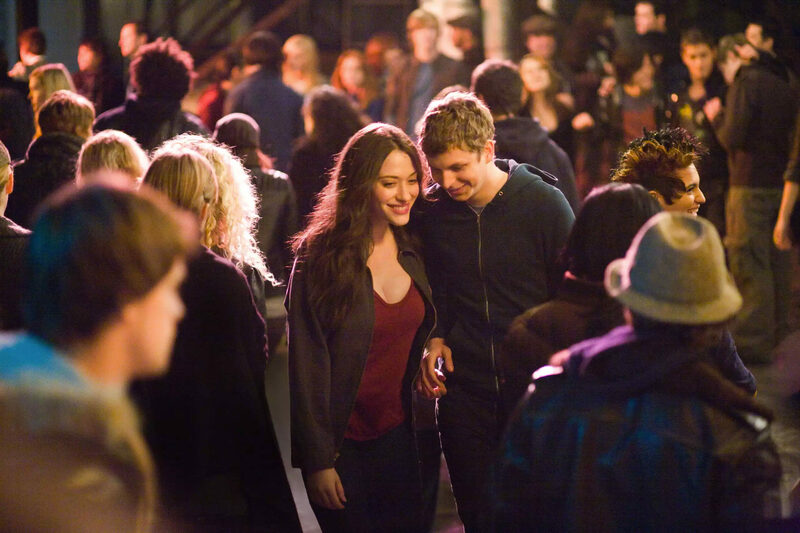 Nick and Norah’s Infinite Playlist reminds me of that. Driving around all night chasing down a dream. It makes me feel that. And that’s a wonderful thing.